The Pittsburgh Penguins Elite youth hockey players worked together to donate over 80 pairs of new and gently used skates to the Mighty Penguins Sled Hockey team through the “Skates for the Greats” drive. Many of the Mighty Pens athletes wear tennis shoes on the ice, but they need the protection that a skate provides. The cost of a pair of skates that will need to have the blades removed discourages many of the Mighty Pens families from purchasing skates to protect their player properly. The partnership between the Pens Elite teams and the Mighty Penguins has been amazing to watch develop this past season. 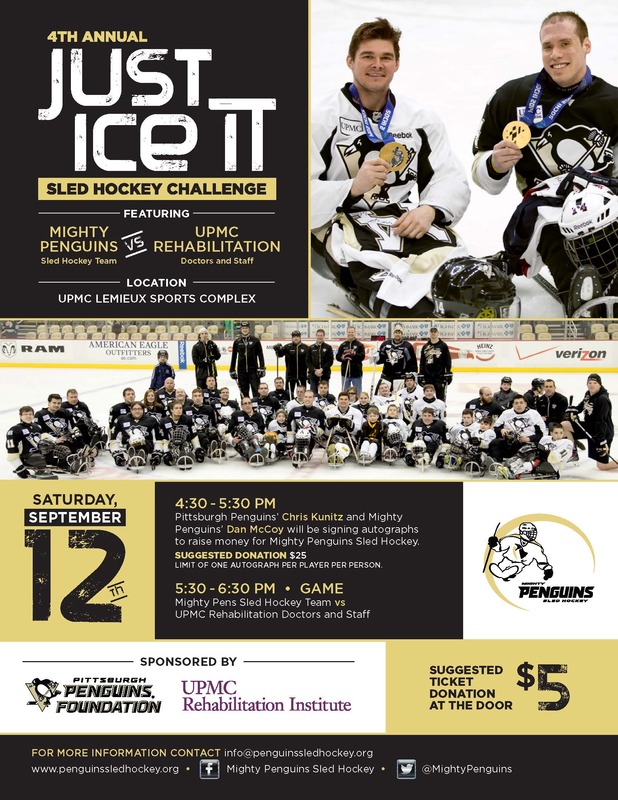 In addition to having Paralympic gold medal winner Dan McCoy speak to every team, many of the Pens Elite teams were able to hit the ice in sleds and scrimmage the Mighty Pens. By engaging with athletes who play the game only slightly differently, the Pens Elite youth hockey players had a tremendous opportunity to learn valuable life lessons like empathy, compassion and respect for those who have physical struggles to overcome. 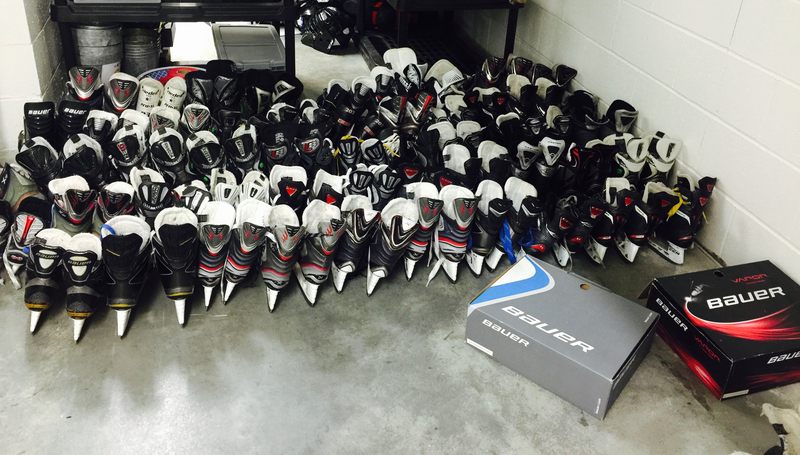 Skates donated will be cleaned by a volunteer group of Pens Elite players who have arranged to have Pure Hockey on Neville Island remove the blades at no charge. Skates will be distributed to the Mighty Pens players in June in anticipation of their 2016-17 season! 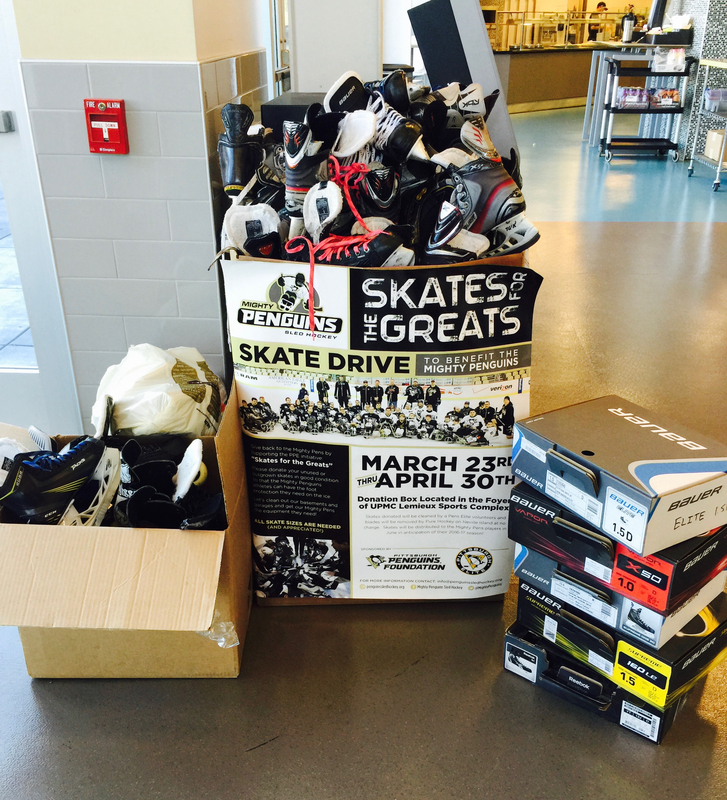 A huge thanks to all who participated in the “Skates for the Greats” drive demonstrating that Hockey Is For Everyone!